Brock Lesnar will yet again be defending the UFC Heavyweight Championship Belt, this time at UFC 120 against top contender, Cain Velasquez. Both coming off very impressive victories, this is sure to not disappoint. 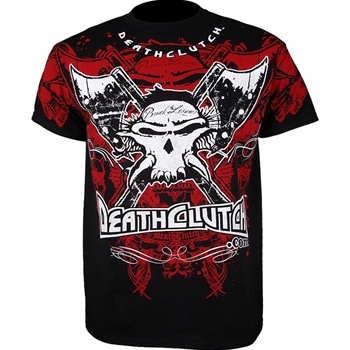 With every fight and fighter, there’s a walkout shirt and Brock Lesnar will be sporting his own clothing line, Death Clutch on his big entrance to the Octagon. You too can have the same shirt for only $29.99 at MMAWarehouse.